The Climate Assessment from NOAA is in and 2018 was the 4th warmest on record for the globe. 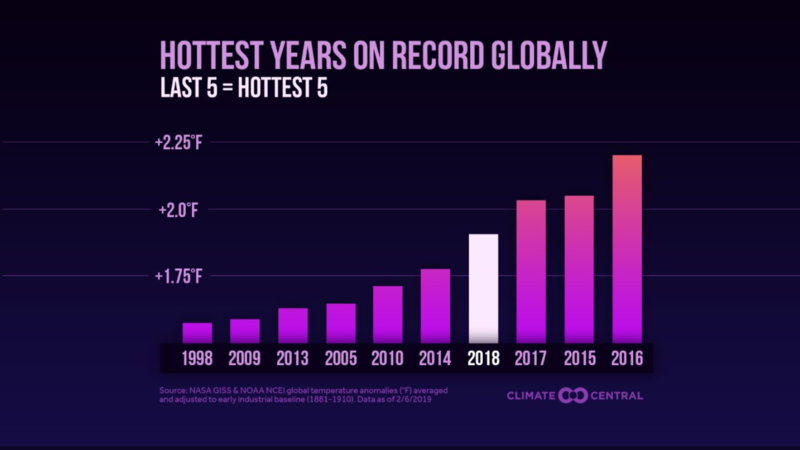 This image shows the 5 hottest years on record have occurred in the past 5 years. 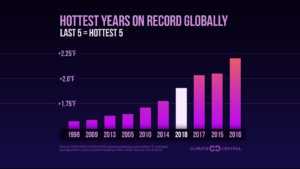 The image below shows the 2018 global temperatures as compared to the long-term average. What you might find interesting is the area in purple over the ocean just below Greenland. 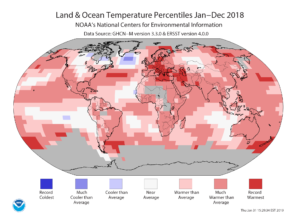 This area is much cooler than average due to the cold water running off of the melting ice in Greenland.